Business books are a unique breed. On one hand, basic business and leadership fundamentals generally don’t change. But the expression of leadership and business does change–with technology, with economics, and with people. That’s why many business books are best read when they first come out, as today’s business lessons are sometimes tomorrow’s ancient history. That’s why you want to read business books when they first come out, not ten years later when they are in the bargain bin. Books like this new one releasing Tuesday June 7. Michael Feuer built OfficeMax, starting it with a partner from scratch before going public and eventually selling to Boise-Pacific. 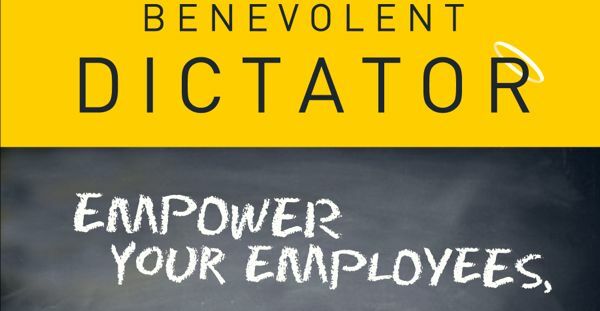 He’s written a new book, The Benevolent Dictator: Empower Your Employees, Build Your Business, and Outwit the Competition, that presents a series of lessons learned during that experience. The beauty of this book–and others like it–is the opportunity it affords to pick up lessons learned from a successful business leader. Who wouldn’t be willing to plunk down $20 bucks or more for a lunch with a guy who started a company with 3 million and sold it for 1.5 billion? Unless you’re well connected at the C-suite level you probably can’t…sorry. But you can pick up a book and learn more…much more…than you could in a one hour lunch anyway. In this new book Feuer lists 40 best practices or lessons learned from his years at Office Max and other ventures including Jo-Ann Fabrics. Each one is covered in a handful of pages, so you can read one a day in 5 minutes or, as I did, sit down over a holiday weekend and read it in a few sittings. Like any book listing ideas, you’ll find some you agree with and some that give you pause. And you’ll read some that go against conventional wisdom or other business book lessons. The book is divided into four sections, each covering four basic phases of a business: Start-up, Build Out, Constant Reinvention, and The Payday. Throughout each phase Feuer offers thoughts on leading an organization as a “benevolent dictator” who makes the crucial decisions with the best interest of others in mind ahead of his own, but at the same time doing so without getting bogged down in the never ending opinions and agendas of other people. There were some surprises. For example, in Lesson #16: Managing People Is about Achieving Objectives Through Others it’s good to see Feuer write about the need for a team to have well performing A, B, and C players, which differs from what we’ve read elsewhere about Jack Welch’s legendary practice at GE of routinely firing the lowest performing individual even if they are performing overall at an acceptable level. If everyone on the team is an A player, you more than likely have just too much drama as each person tries to prove that his or her idea is the right way to do things. Instead, you need leaders, doers, and a good number of loyal followers. I have had many bright employees who, for whatever reason, lacked a certain skill or set of skills. This will work fine as long as you always set the bar commensurate with what needs to be done and what one has the capabilities of reaching. In Lesson #18: Don’t Open the Doors until the Start-Up Passes the Small Test–And Don’t Be Afraid to Call Time-Out Just to Be Sure he writes about the value of checklists and benchmarks as well as the potential pitfalls of fast-tracked projects. I’ve always been skeptical about undertakings that run at full speed from the beginning to the end. These situations usually incur far too many mistakes because everybody is so exhausted that they get sloppy and worry just about getting finished, rather than the quality of the final product. And in Lesson #20: Is Perception Reality? How to Manage Risk, Take Chances, and Remain Standing he cautions about the obsession to get to zero-defects in every single situation, a worthy goal that must be rooted in an acceptable ROI and must meet a critical and noticeable customer demand or requirement. People who strive for–and refuse to accept anything less than–perfection often fall in love with the notion of a project or plan with zero defects. This is a terrific idea, but it is totally impractical and typically unobtainable. There is a high cost associated with being perfect; in retail especially, it all gets down to the belief that “in the land of the blind, the one-eyed man or woman is king or queen.” This simply means that you need to determine how much better the product needs to be to gain market share and supplant your competition. As far as I’m concerned, one of the few places for zero defects is with the airplane on which I am flying. But in business, it’s critical for you as the leader to teach associates that everything is a matter of degree. Sometimes, if you’re driving in a snowstorm, it’s enough to simply clean off the windshield, side windows, and rear window of the car. You can see where you’re going, and it gets the job done. There’s no value to cleaning the roof and the fenders. Leadership and wisdom therefore become the ability to make that kind of determination–what needs to get done versus what is just an extra. Advice is offered on a variety of topics, including managing a Prima Donna, avoiding paralysis analysis, ethics, hiring, performance, negotiation…the list just goes on. Space doesn’t even come close to allowing a complete synopsis of points…there’s just too much there. Most chapters and lessons in the book will confirm or challenge your current business practice and find an application in your world. 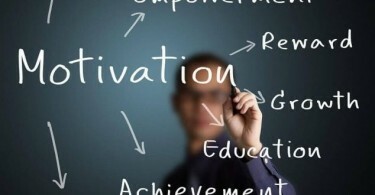 If you’re a constant learner–and in this day and age, you’d better be–and you’d like to sit down and glean 40 lessons from a successful business leader, this fits the bill. If you’re in retail, you’ll find the book especially helpful, but even if you’re not there’s plenty of insight into interacting with vendors, executives, competitors and employees that transcends retail and applies in all of business. The book is written in a conversational style and is packed with real world application, not untested theories. You’ll undoubtedly come away with some lessons learned—just as you would if Mr. Feuer agreed to have lunch with you to share his business secrets.